A flexible, cost effective method of data logging for your lab. 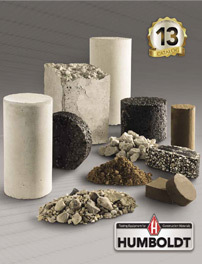 Humboldt’s Elite Series Data Loggers are specifically designed for use within construction materials testing labs. 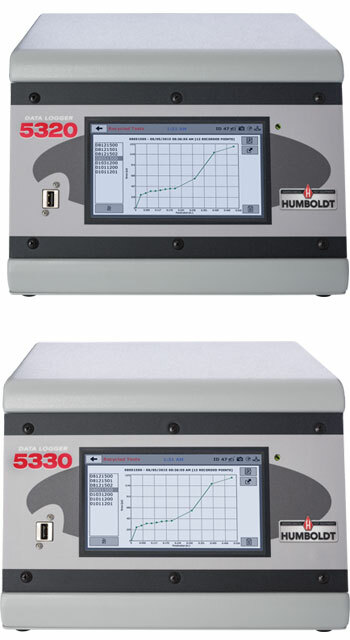 You can use Humboldt Data loggers to cost effectively update your older, non-computerized load frames, direct shear and consolidation machines with computerized data acquisition — increasing lab output, freeing-up technicians and providing more accurate test results. 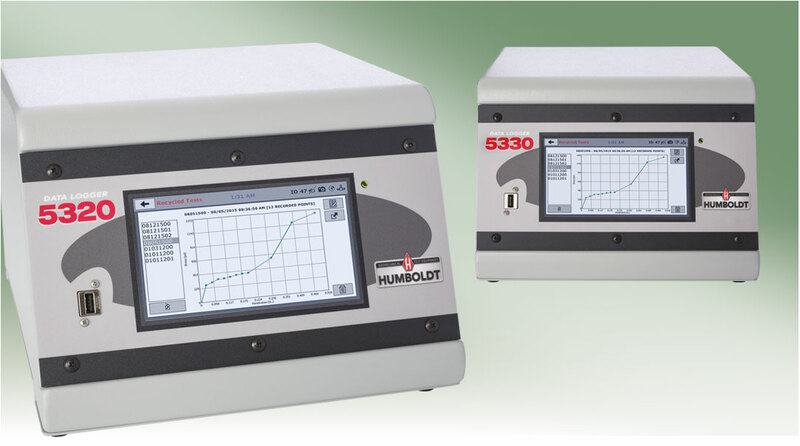 Humboldt’s modular-design, data acquisition concept is designed to give you the most flexible and cost-effective method of data logging for your lab. Rather than having to buy into a large data logging system and then growing into it, Humboldt data loggers give you the flexibility and low cost outlay of being able to buy loggers on an “as you grow” basis, increasing your data logging capability as your expansion demands. 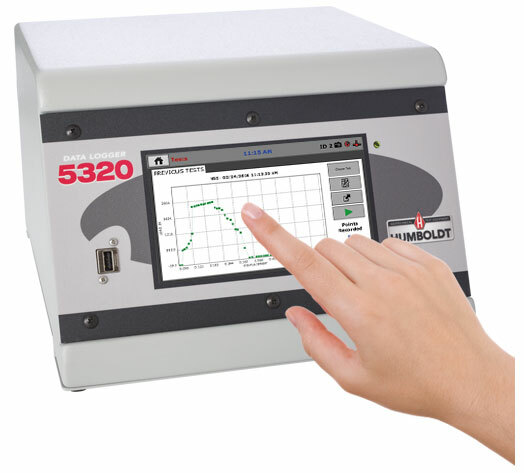 Humboldt’s touch screen controller provides you with full, graphical monitoring of all testing functions in a stand-alone application, while maintaining full computer control when desired. Now you can have finger-tip control and real-time monitoring of data acquisition with Humboldt’s touch-screen controller, found on these data loggers. The seven-inch, waterproof screen provides at-a-glance monitoring of testing functions, in a real-time graphical display, without the use of a computer, building upon Humboldt’s dedication to modular, stand-alone data acquisition. 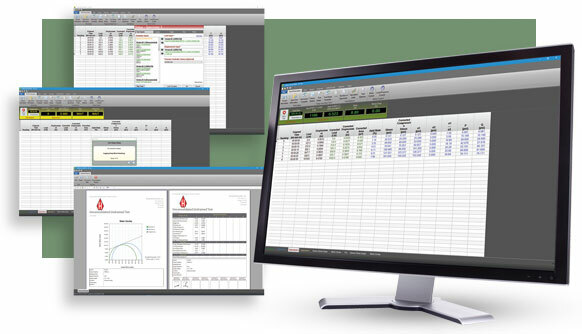 Humboldt’s Next software is included with all Humboldt Data loggers. This software provides robust data acquisition, calibration and report generation for those wanting to use a computer to monitor tests and collect test data. Designed for applications where it is desired to add data acquisition capabilities to older or simpler testing equipment that does not have data acquisition capabilities. These data loggers provide advanced data acquisition and reporting functions effectively updating the equipment they are used with. The HM-5320 provides four individual, 24-bit analog to digital converters with an instrumentation excitation supply of 10 VDC. This analog data logger is ideal for use with instruments, such as pressure transducers, load cells, and strain transducers. It provides data storage for 1000 readings per channel. The HM-5330 provides four individual, digital Indicator inputs with an instrumentation excitation supply of 5 VDC. This digital data logger is ideal for use with digital indicators. It provides data storage for 1000 readings per channel. Humboldt’s Elite Series Data Loggers.